Scientifically proven to lock in moisture for 8 hours. Enriched with nourishing rosehip, this aromatic oil melts into lacklustre skin to lock in moisture while softening, conditioning and restoring its natural glow. Pretty much the only moisturiser i put on my face now nothing else comes close to doing what this does! It smooths, deeply moisturises and actually makes my skin glow! 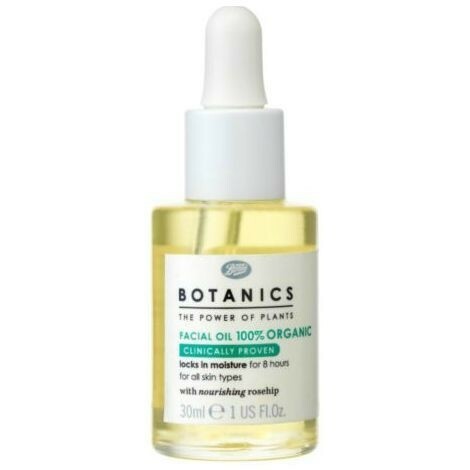 I tried this expecting no results as it was cheaper than all the other face oils i had seen on the high street...how wrong was I? 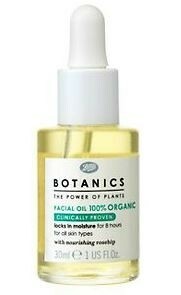 Best value facial oil I've tried. It really works and doesn't feature loads of chemicals in. Bottle lasts a long time as only a few drops are needed for face & neck and is usually on offer at 1/2 price. "Pretty much the only moisturiser i put on my face now nothing else comes close to doing what this does! It smooths, deeply moisturises..."